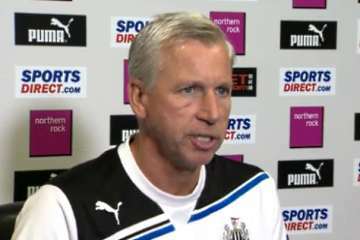 Alan Pardew on St James' Park rename | NUFC Blog. Archive for tag: Alan Pardew on St James’ Park rename. Pardew hopes fans understand reasons for St James’ Park rename. Pardew: Fans can still have some traditions. “For the traditionalists amongst our fans, I think it’s something they are upset at. “But it is still in the same place and it’s still the Gallowgate End and we still have your tradition of walking to the stadium from the centre of town. It’s there where it is.